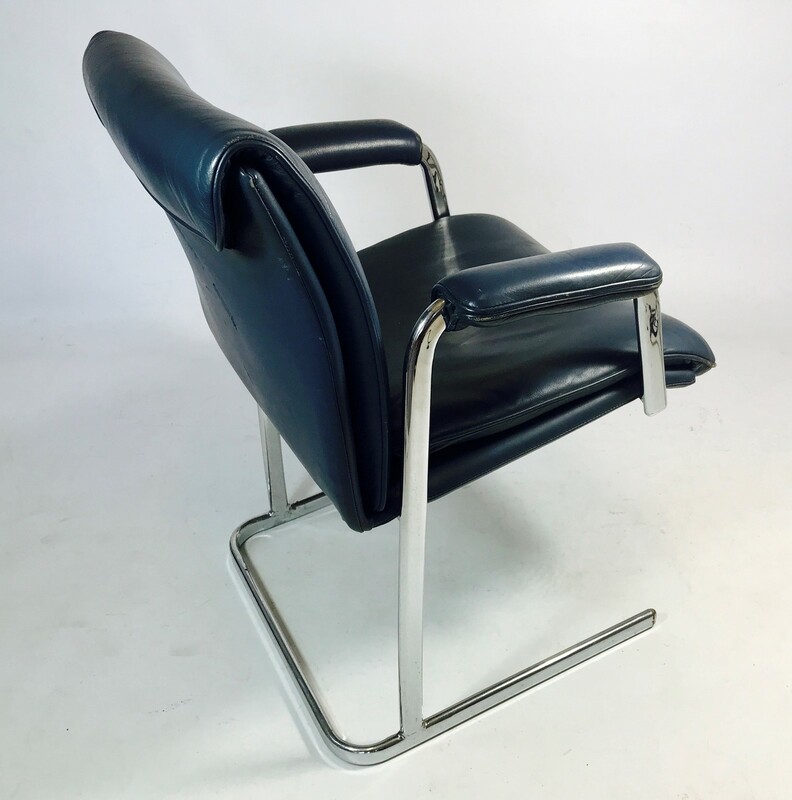 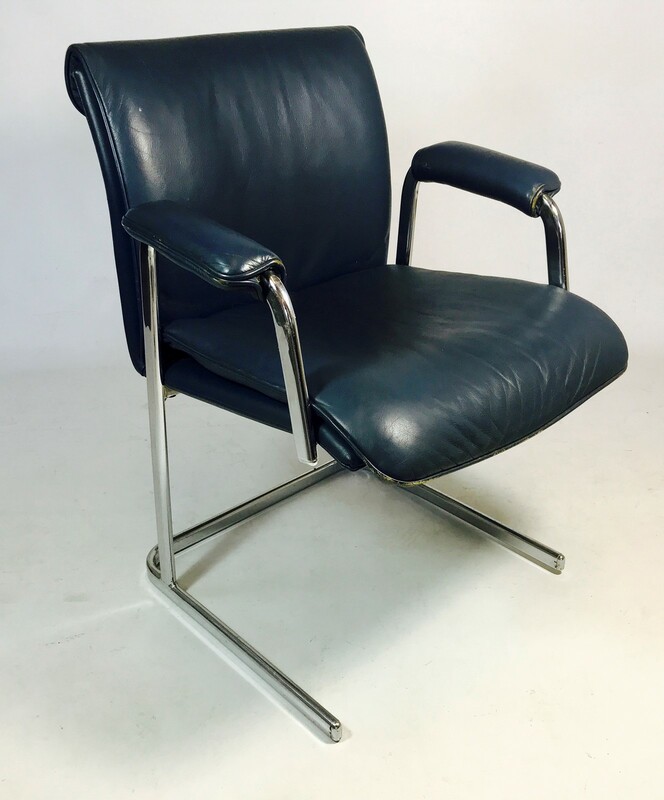 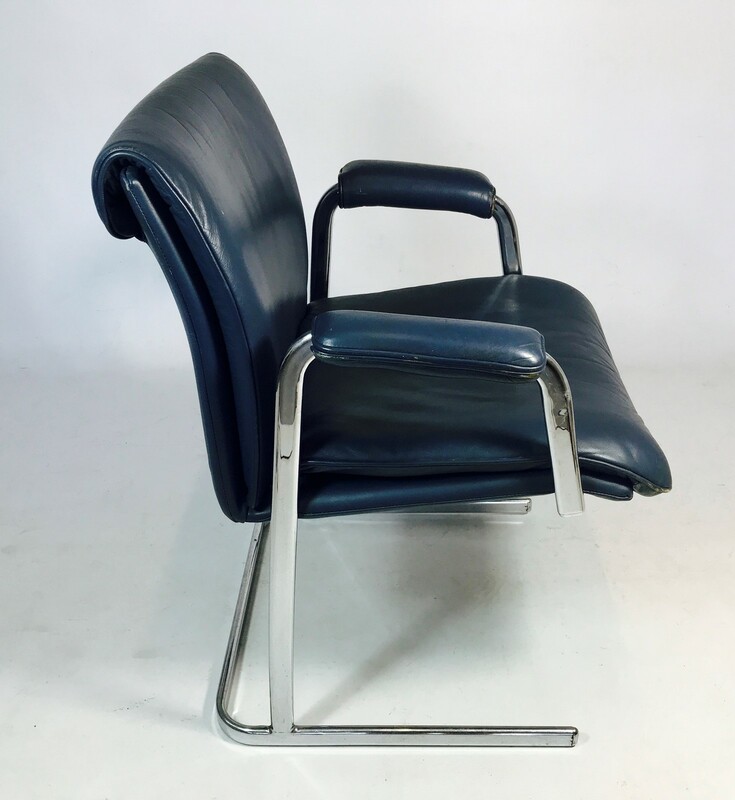 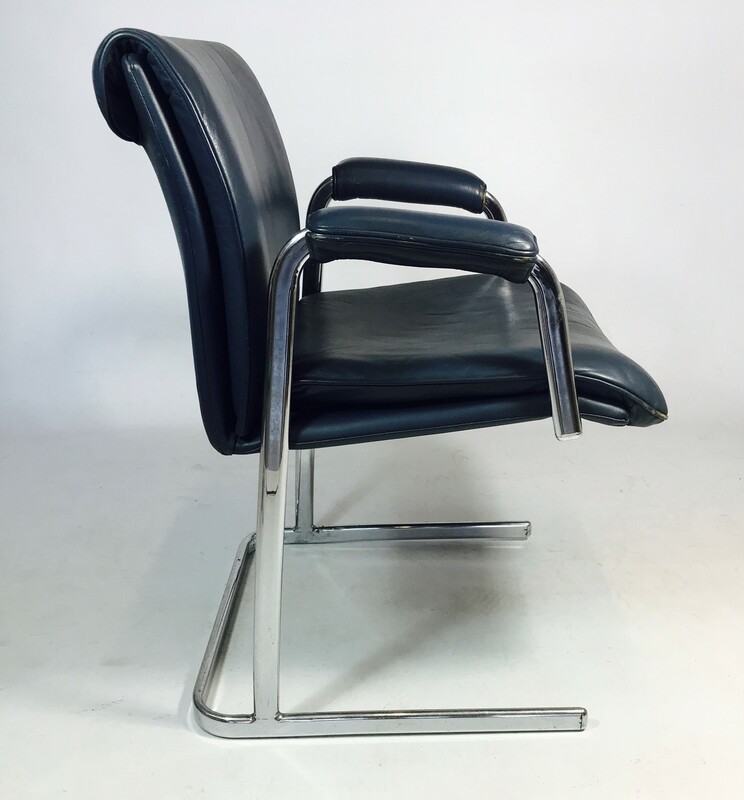 Very stylish Desk Chair in chrome and upholstered in blue leather. 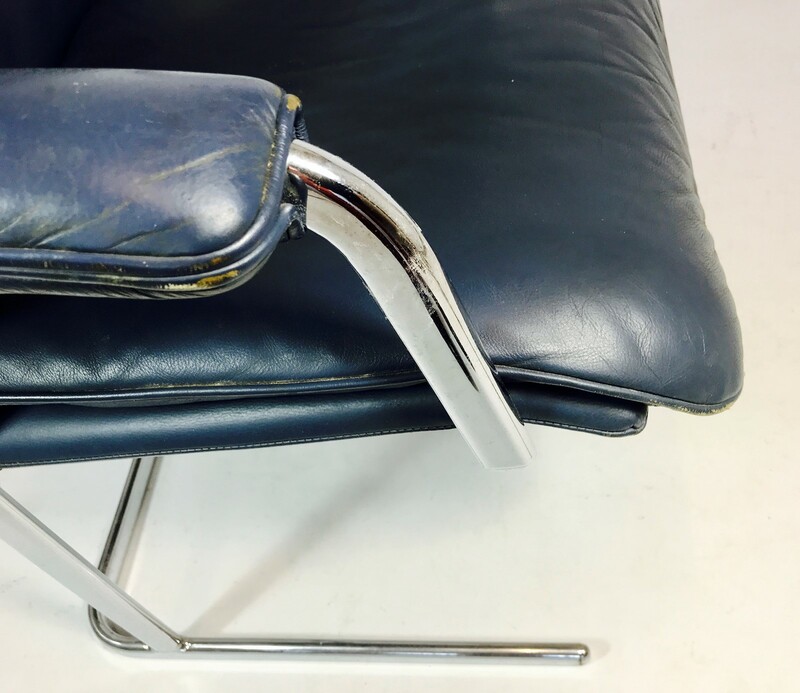 One major scratch to the leather at the back of the seat, and some re-stitching is advised. 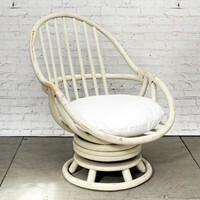 This chair is by Boss Designs of Dudley, and follows on from the Iconic designs by Pieff of Worcester. 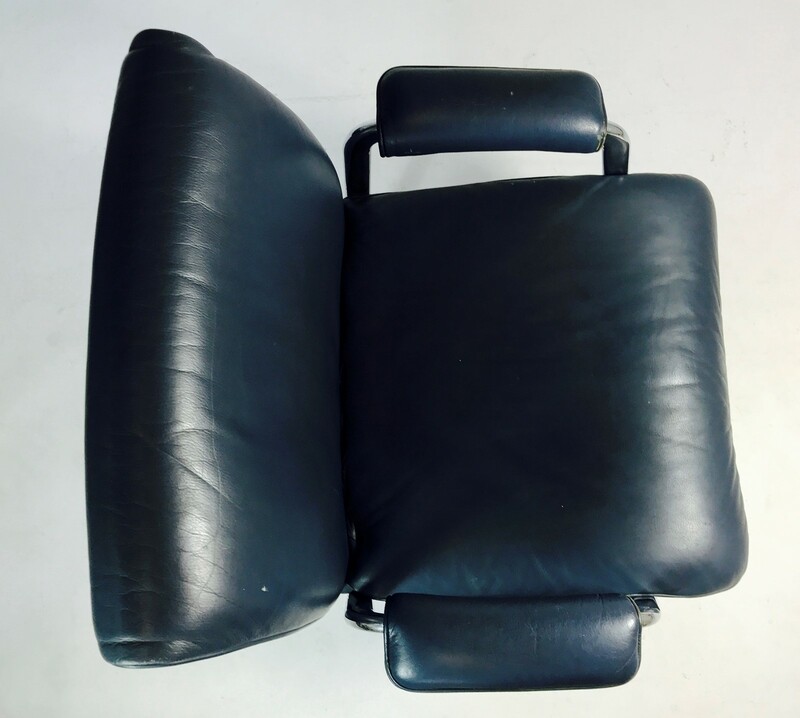 Very comfortable and practical. 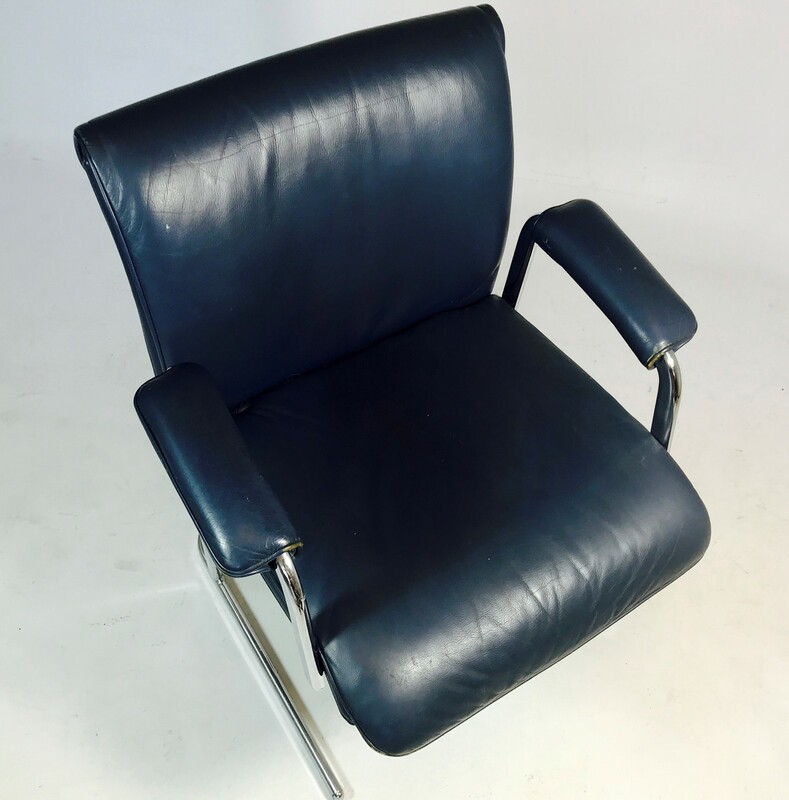 Pair of Cognac Leather Danish Club Armchairs.